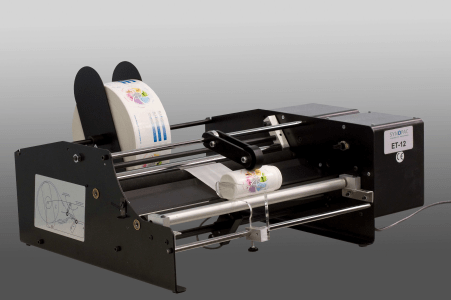 The table top labeller E-12 is our starting labelling model for self adhesive labels. This compact unit was designed for small batches and the guides for different sizes of products can be adjusted easily. An arm helps to stabilise the labelling process of light weight products and the support for the different sizes of containers is fully adjustable. Side guides help the labelling reel to stay in perfect alignment in order to avoid faulty labels on containers. 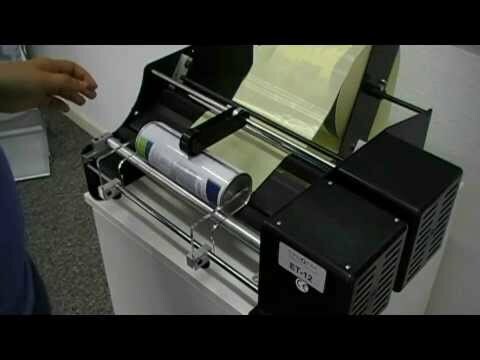 Ideal for smaller batches the ET12 labeller is designed for fast and frequent changeovers.